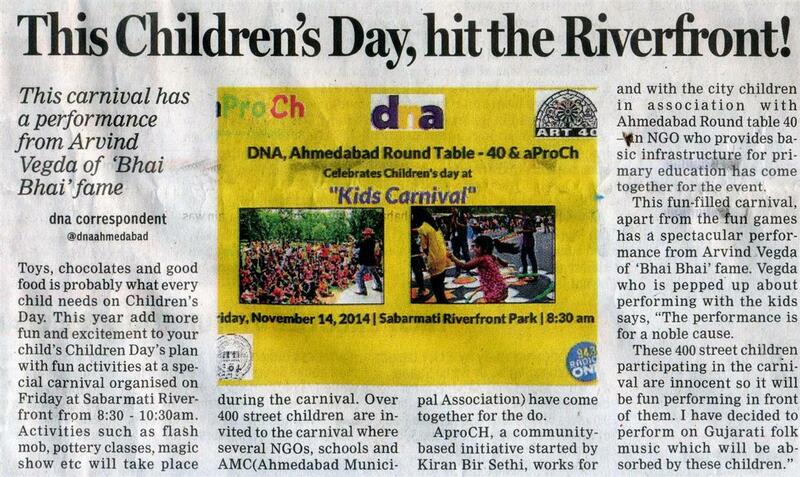 aProCh in association with Ahmedabad Round Table 40 & DNA hosted "Kids Carnival” to celebrate children's day on Friday– 14th November, 2014 at Sabarmati Riverfront Park. 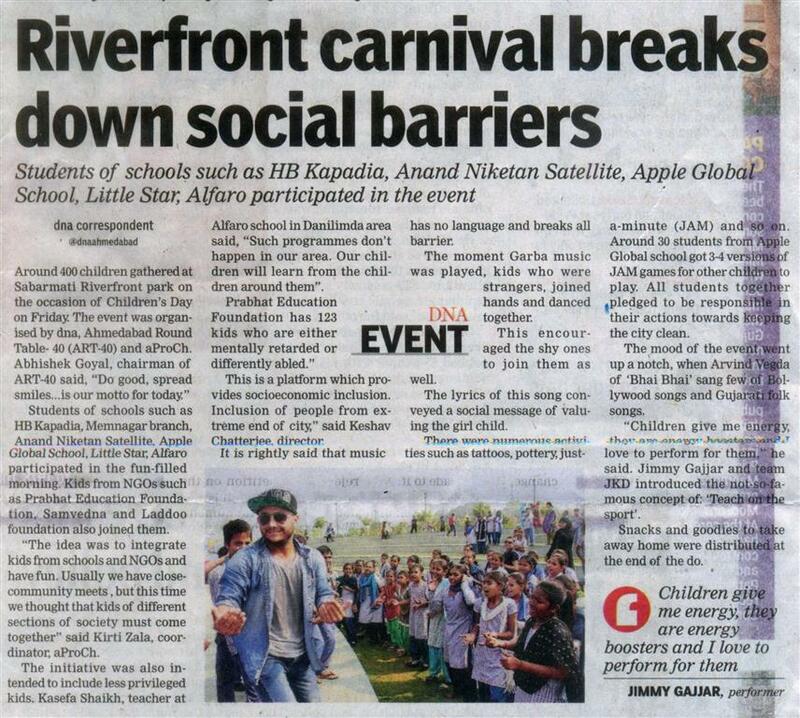 Over 400 children from different schools and NGOs had gala time enjoying dance, music and various activities. 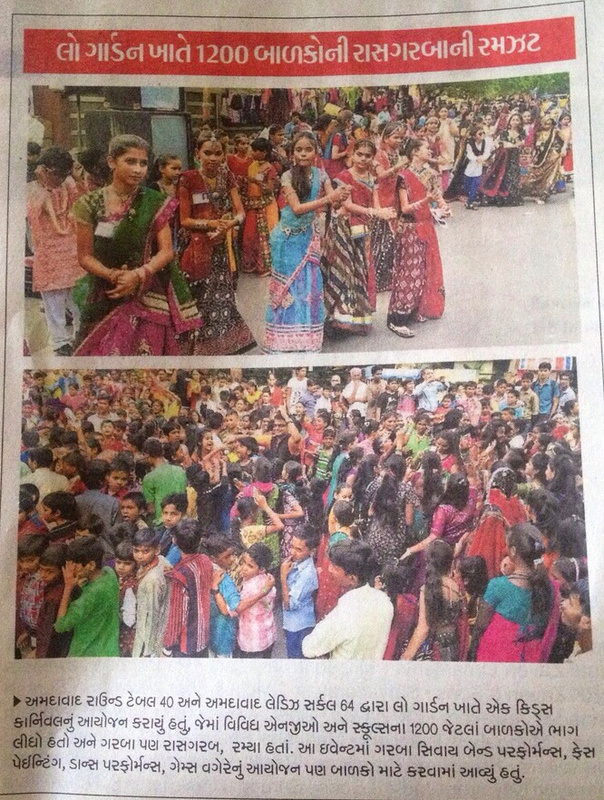 Round Table Ahmedabad hosted "Street Smart" at Law Garden on 28th September, as part of Be The Change Celebration 2014. Over 1000 children enjoyed Sheri Garba and other activities. 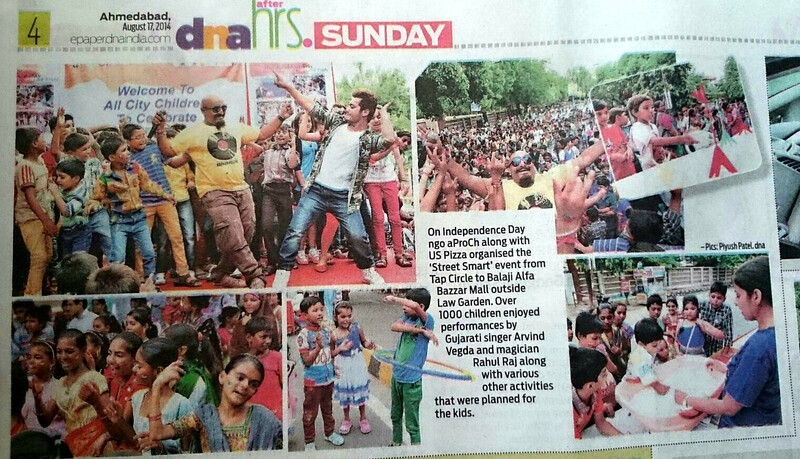 aProCh's "Street Smart" at Law Garden on 15th August, where over 1000 children gathered to celebrate India's 68th Independence Day. 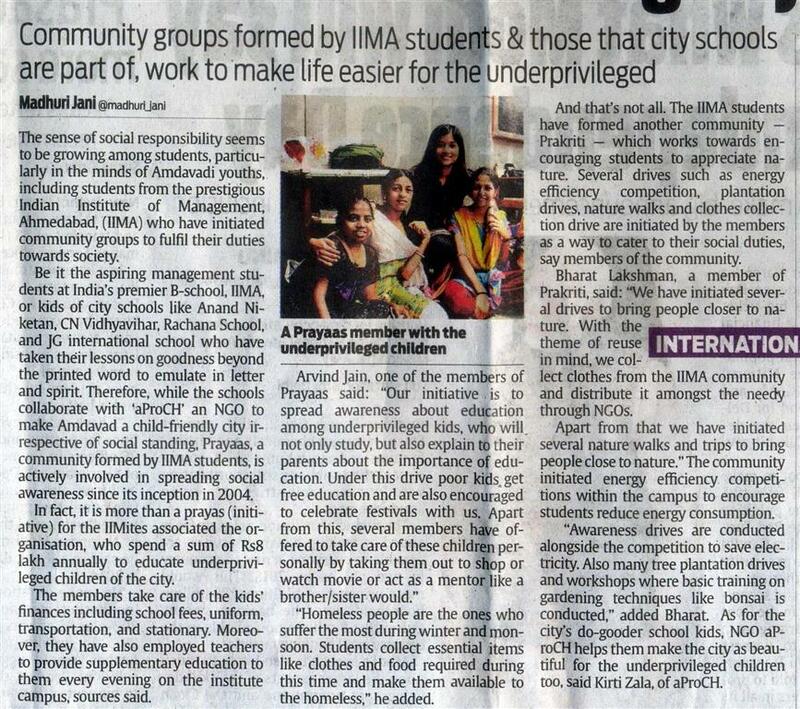 aProCh idea was mentioned on International Youth Day in DNA newspaper.